Kindergarten received a special visit today from Dr. Salemi. Dr. Salemi is a veterinarian from the Northside Animal Hospital. The students learned that at the hospital they take veterinary care of dogs, cats, birds, and exotic pets! 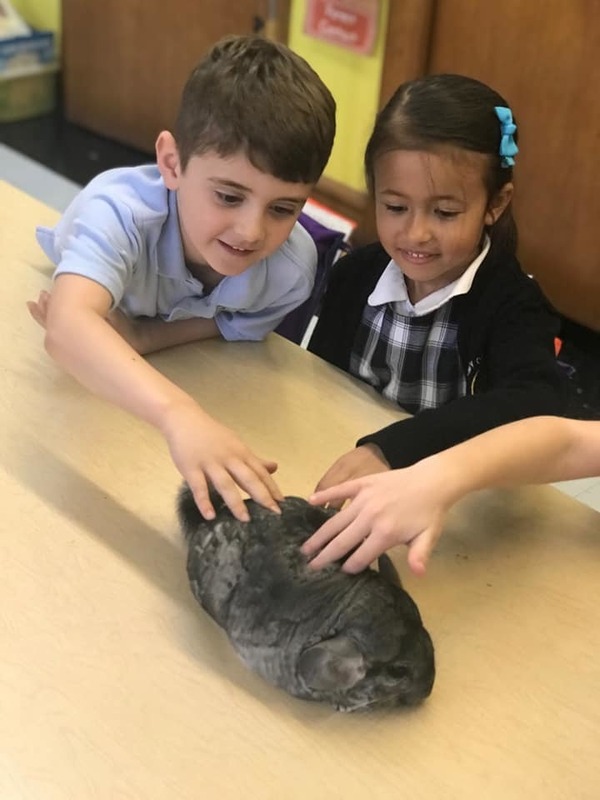 Some pets even paid their classroom a visit today! Everyone was very excited !